The second release of the Royal Canadian Mint’s Weather Phenomenon Series features a bright rainbow. The colorization on each coin is vibrant, which makes these coins stand out. 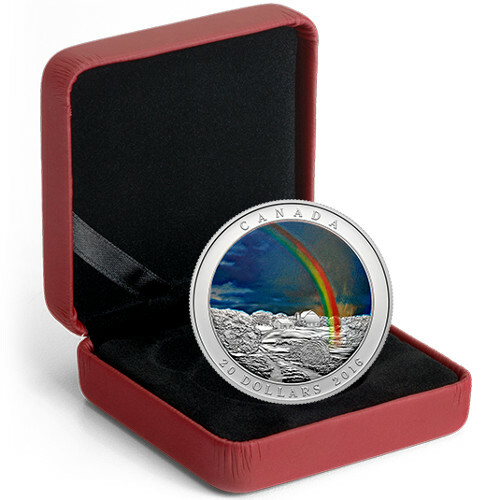 Get the 2016 1 oz Proof Silver Canadian Weather Phenomenon Radiant Rainbow Coin from Silver.com today. Second release in the Weather Phenomenon Series. Features brilliant colorization on the reverse. Reverse features a magnificent rainbow in the dark sky. 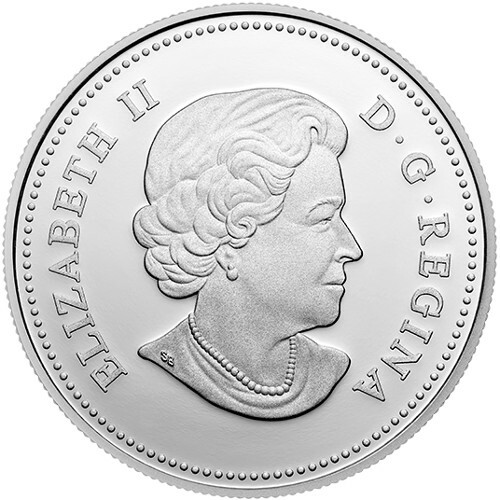 The obverse of each coin features the right-profile portrait of Queen Elizabeth II. The image was created in 2003 by Susanna Blunt and has been featured on all modern Canadian coinage since 2004. This is the fourth depiction of Queen Elizabeth, and each depiction has shown her at a different age. 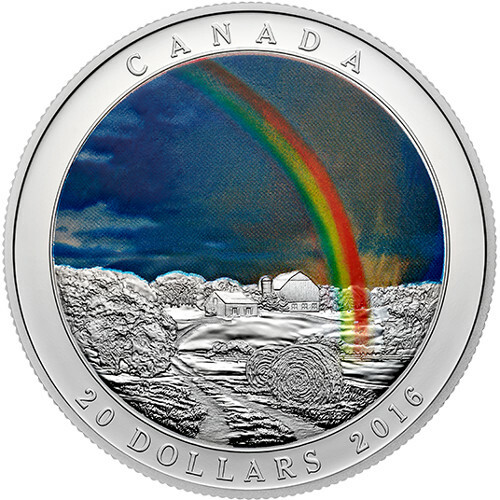 On the reverse of each 2016 1 oz Proof Silver Canadian Weather Phenomenon Radiant Rainbow Coin, you will see Tony Bianco’s design of a brilliantly colored sky and rainbow over a Canadian farm scene. The dark sky is brought to live by a vibrant rainbow and just a hint of sunshine as the storm moves away. Each coin in this series features a proof finish with serrated edges. To protect your investment, these coins ship in a maroon clamshell from the Royal Canadian Mint. Not only does the clamshell protect the coin, but it also offers a great way to display your new purchase. The Royal Canadian Mint has been the sovereign mint of Canada since 1908. It was originally founded in Ottawa, but now it also operates a second location in Winnipeg. The second location was opened in the 1980s to help increase production to meet rising demand. If you have questions about these coins from the United States Mint, please contact a Silver.com associate at 888-989-7223, chat with us online, or send us an email.